1) All data above ware tested under standardized condition. 2) All data listed in the chart were series; Please refer to the related datasheet for special items. 3) Storage condition has a direct impact to the products'shelf life, Please refer to the instruction for special items'storing. Renz 30 is one component high quality polyurethane sealant for car manufactory and aftermarket, it cures by reaction with atmospheric moisture to form a durable and weathering resistant elastomer, Renz-60 is manufactured in accordance with the ISO/TS 16949: 2002. *One-component formulation, excellent smooth appearance. *No sagging, no pollution and corrosion to base material and environment. 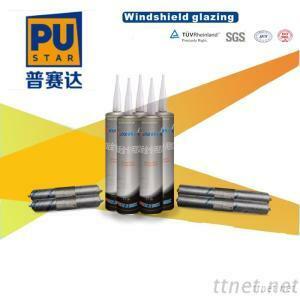 *Excellent sealing and adhesion performance, excellent water and aging resistance. *Surfaces must be clean, dry and free from grease, oil and dust. The surfaces must be treated with a cleaning or activating agent and primed with the appropriate primer. *This product is innocuous after curing completely, but before set, please avoids contacting with eyes and skin. In case of eyes and skin contact, wash immediately and thoroughly with soap and water. See doctor immediately if it is serious.